Tonight's chili began last night. Well before last night I had found a 1 lb. bag of black beans in the back of my cupboard and wanted it to be chili. I also wanted this chili to be different than my previous versions. I like chili, my husband even asked for chili the other day. 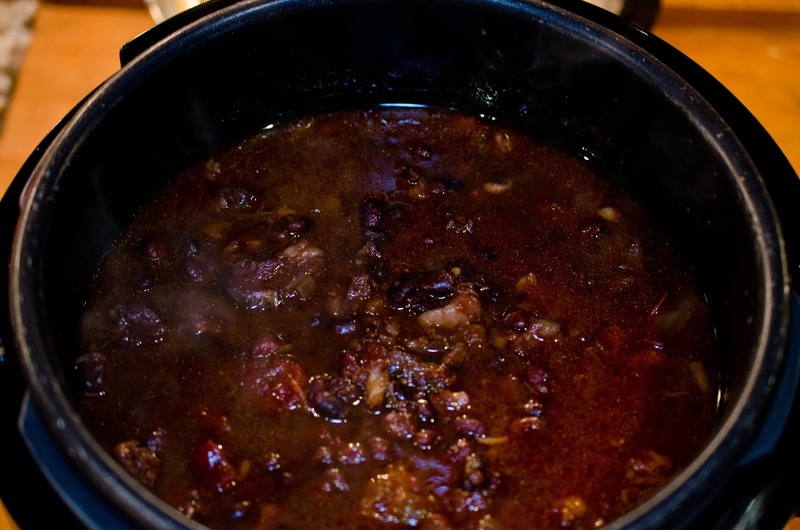 Here it is, a new take on chili. 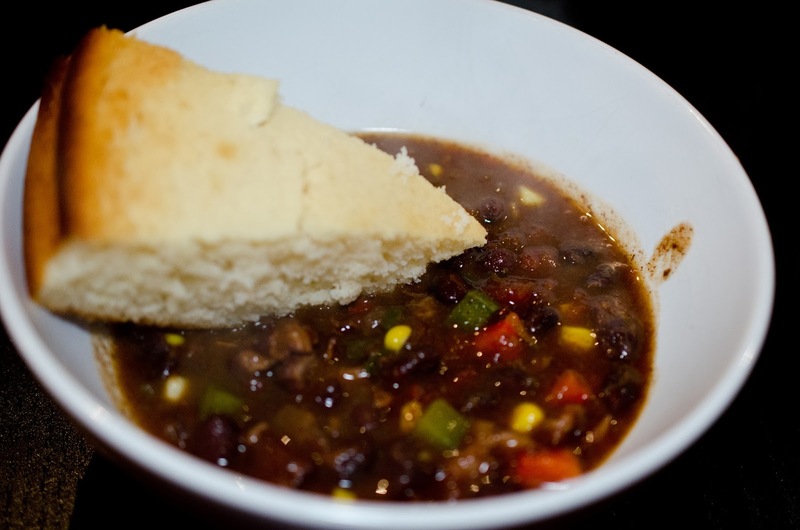 Cornbread and chili, mmmm yummy. 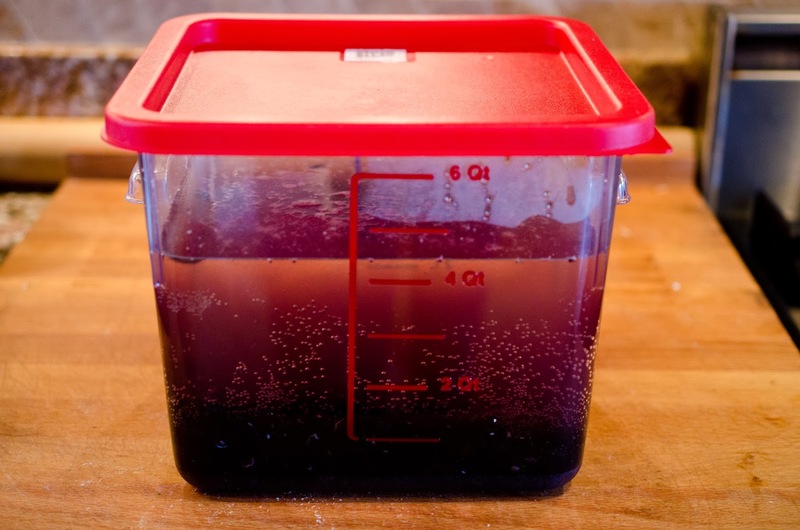 Add 6 tablespoons coarse salt or Kosher salt to 4 quarts of water in a large lidded container, mix until salt is dissolved. 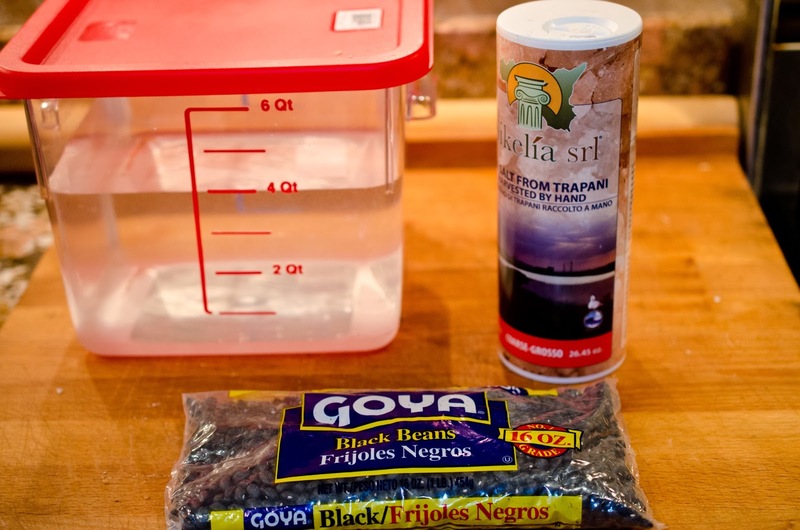 Rinse black beans and add to salted water. 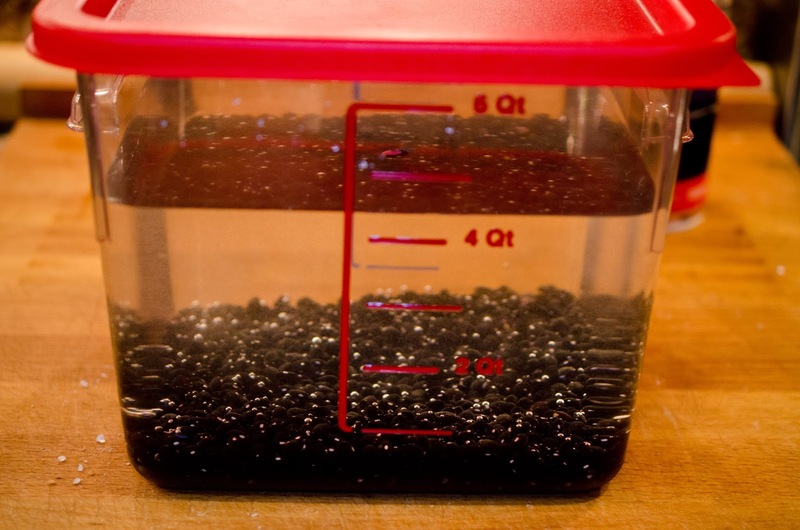 Allow beans to brine over night. Ingredients for this recipe are: 1 lb. 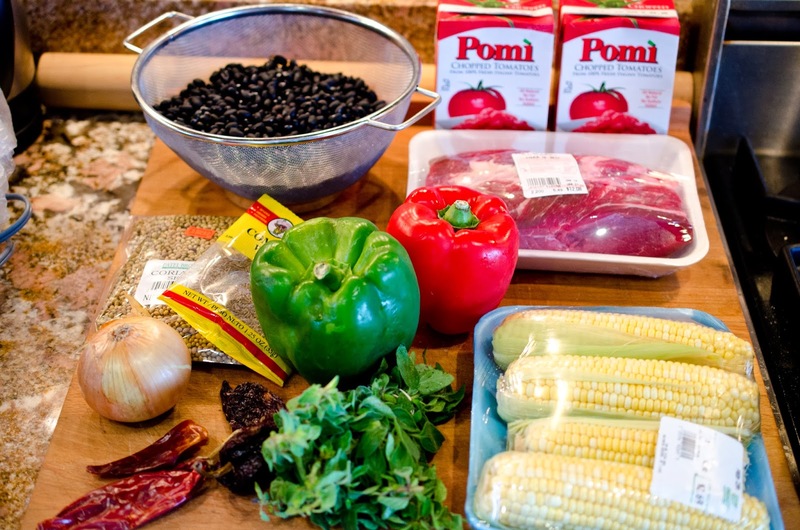 brined black beans (rinsed in cool water and allowed to drain), 1 green bell pepper, 1 red bell pepper, 1 yellow onion, 1 bunch of fresh oregano (or 1 tablespoon dry), 2 ears of corn on the cob, 28 ounces diced tomatoes, 2 lbs. beef chuck roast, 1 1/2 tablespoons whole cumin seeds, 1 1/2 tablespoons whole coriander seeds, 3 dried Ancho chilies, 2 Costeño Chilies. 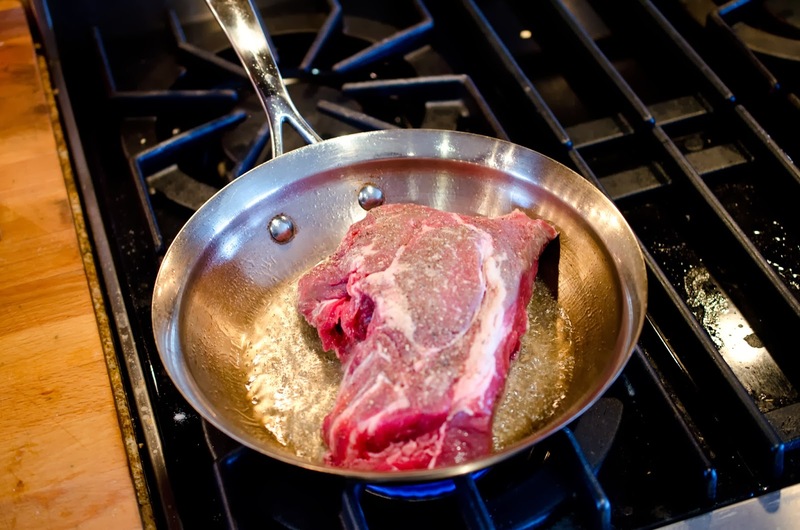 Ingredients for searing meat: salt, pepper, 2 tablespoons vegetable oil, 2 lbs. 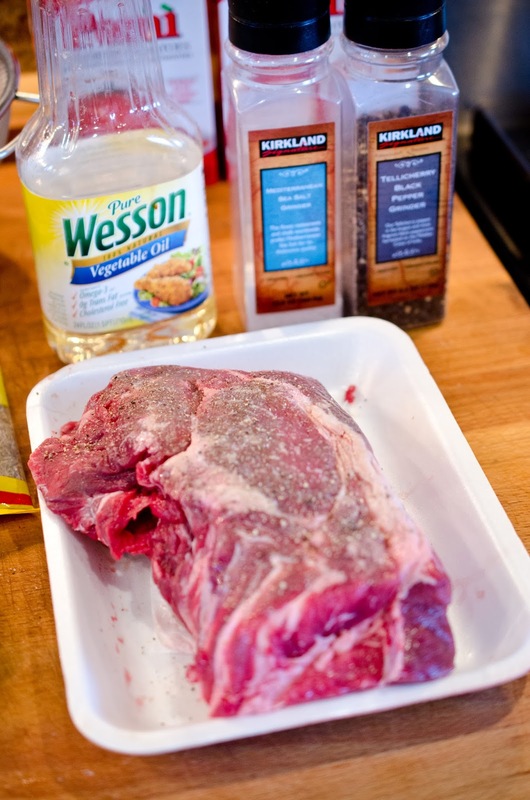 beef chuck roast. 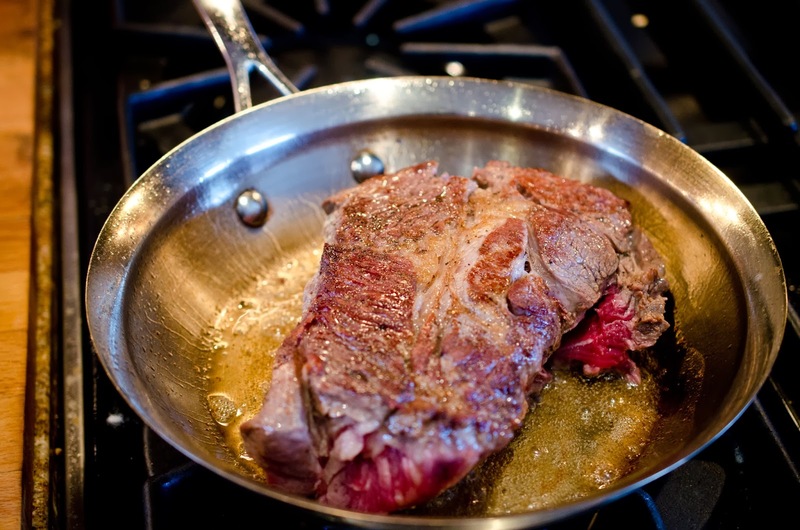 in oil and then add the beef. Sear meat on all sides. 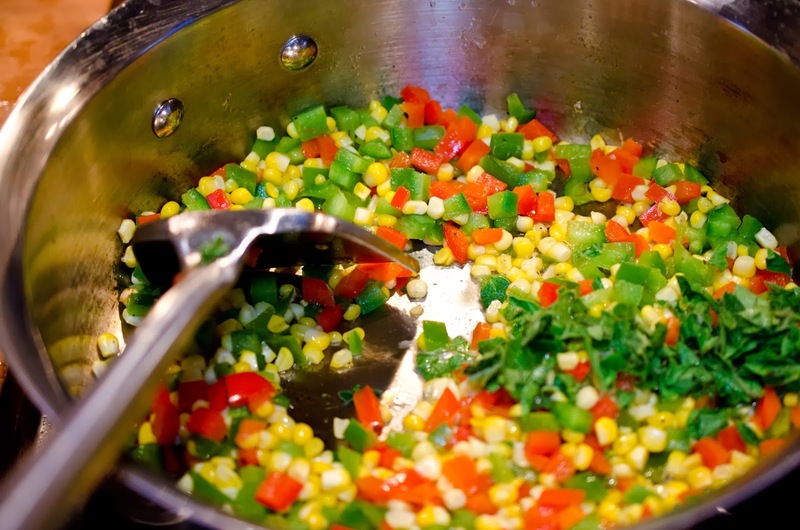 Remove from heat and cut into small pieces, varying the cut size form 1/4 to 1/2 inch cubes. 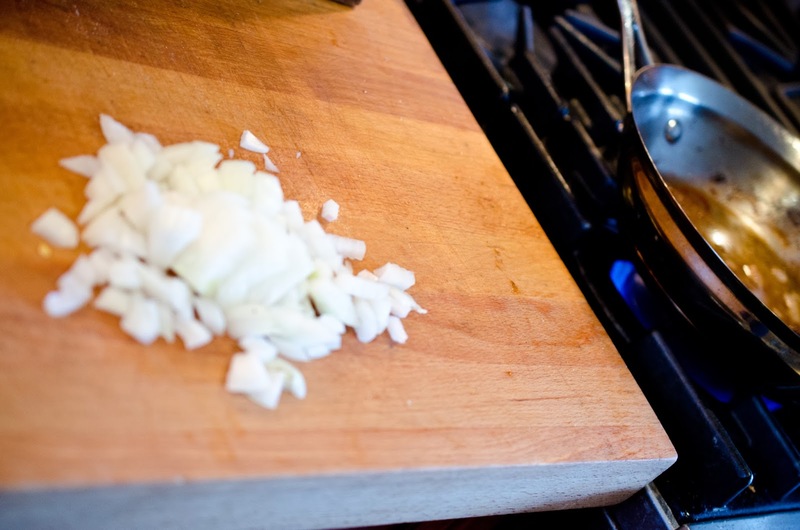 Dice the yellow onion and saute in the oil used to sear the beef. Saute until translucent. 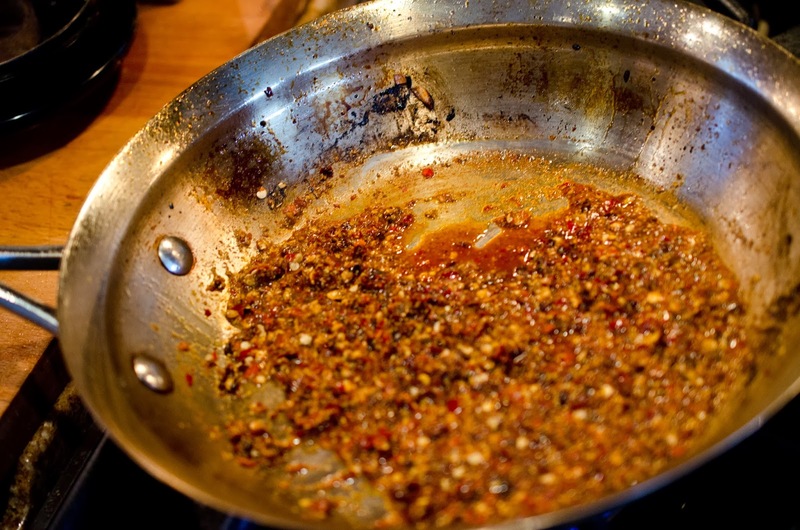 In a dry pan over medium flame, toast cumin, coriander, and chilies until you see smoke. 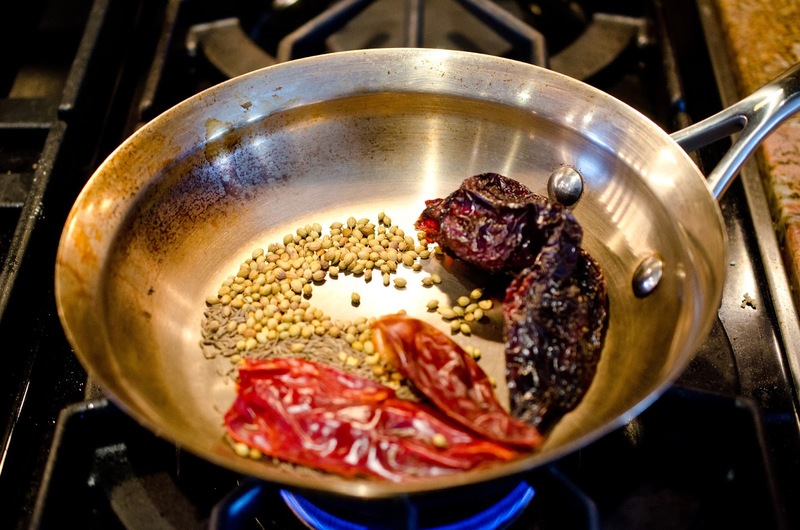 Remove from heat and grind in spice grinder, or blender. Add spices and chilies to 1 teaspoon Better than Boullian and 1/4 cup water. 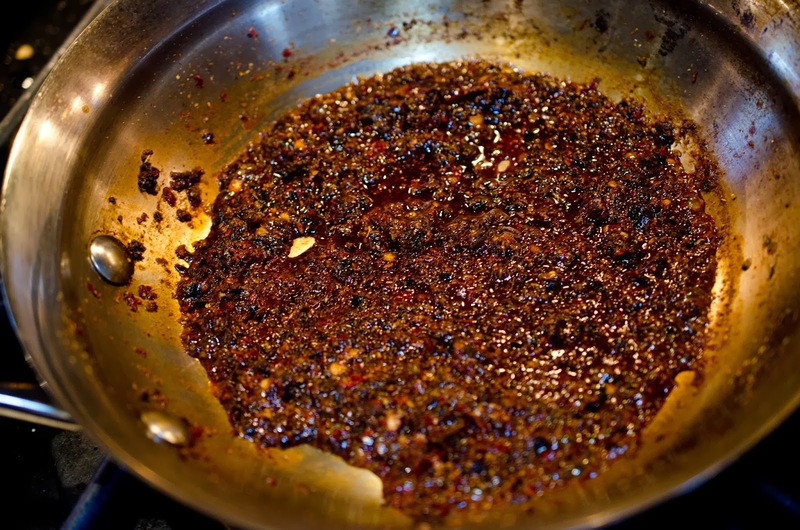 Cook spice mix for 3 minutes. 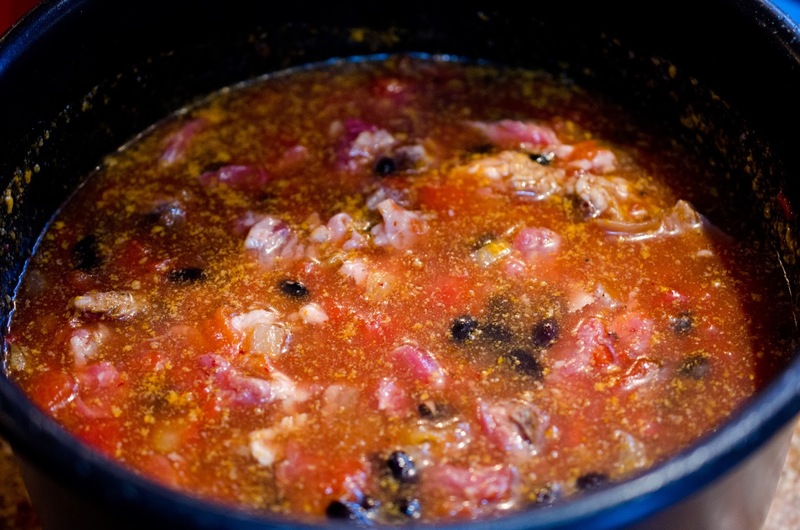 Mix beef, beans, spice mix, diced tomatoes, sauteed onions, and 1 quart beef broth (I used water and Better Than Boullian Beef) in a pressure cooker (or in dutch oven or stock pot on stove top). Set Pressure cooker to high for 90 minutes. lets add the fresh stuff. 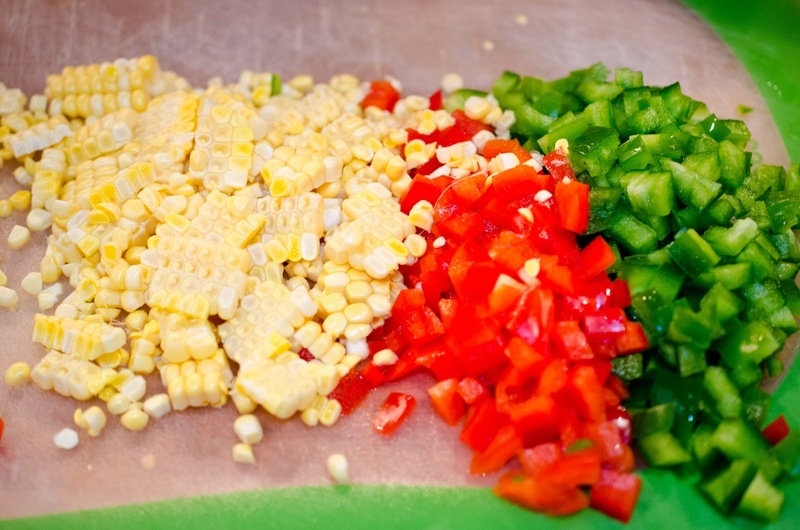 Dice bells peppers, and cut corn from cobs. 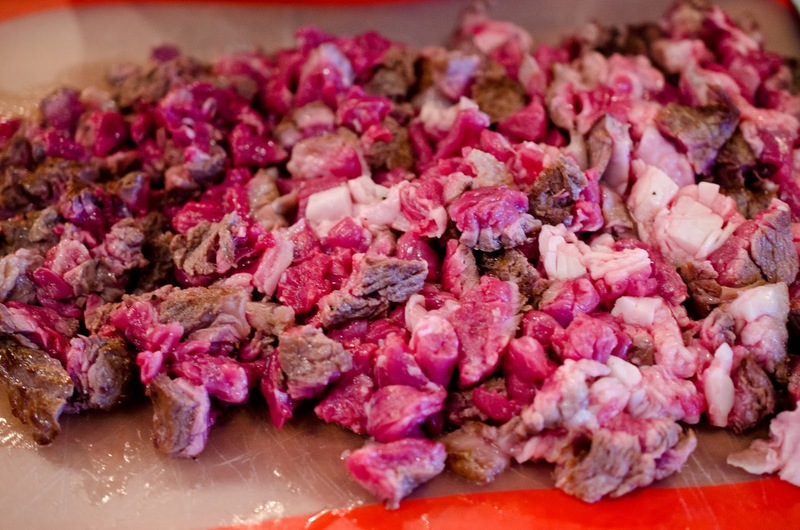 (cut into small pieces) or dried and cook another minute. 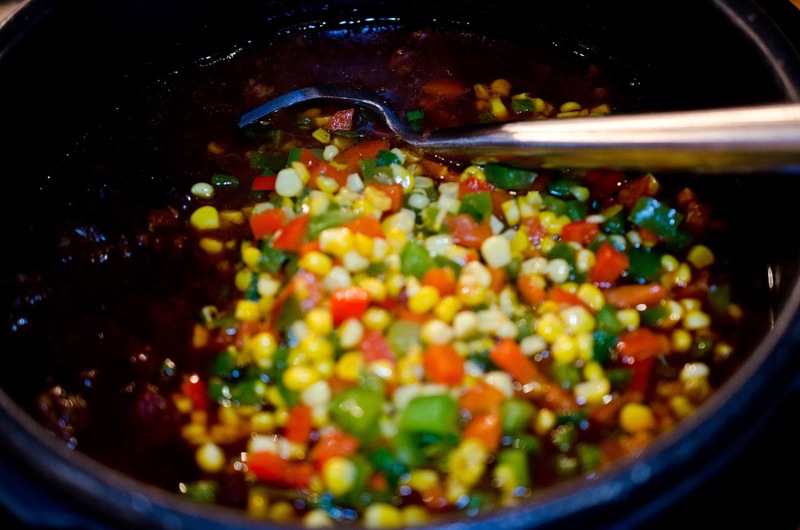 Add sauteed vegetables to chili. 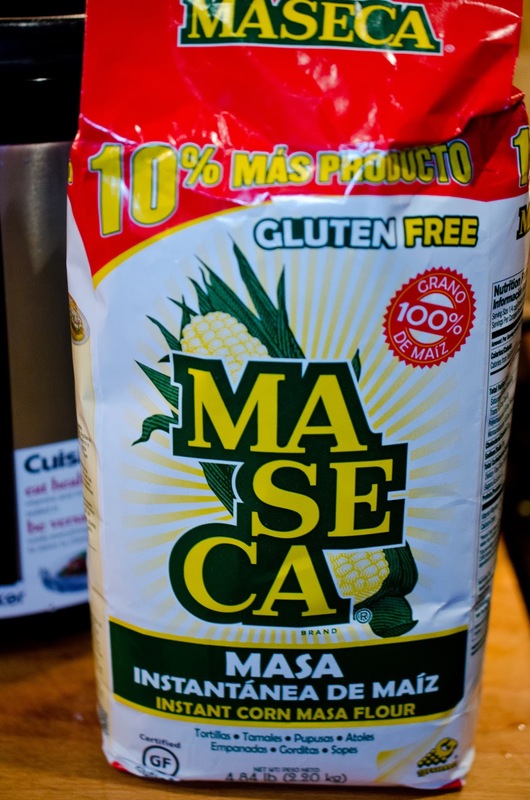 add as much as your desire to thicken. Heavenly Southwestern aromas will fill your home.